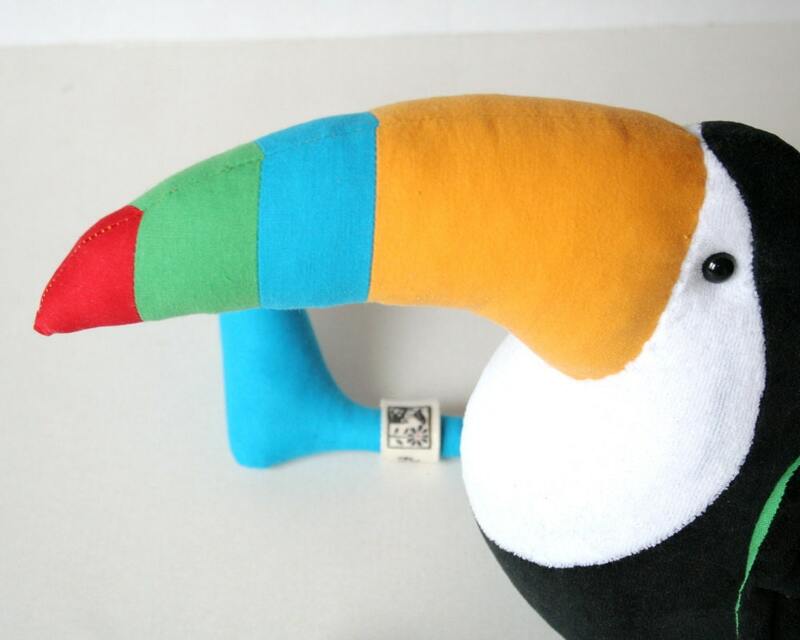 This cuddly soft colorful Toucan is one of the most exciting birds of the South American rain forests. He is made of soft black and white plush and stuffed with polyfill. 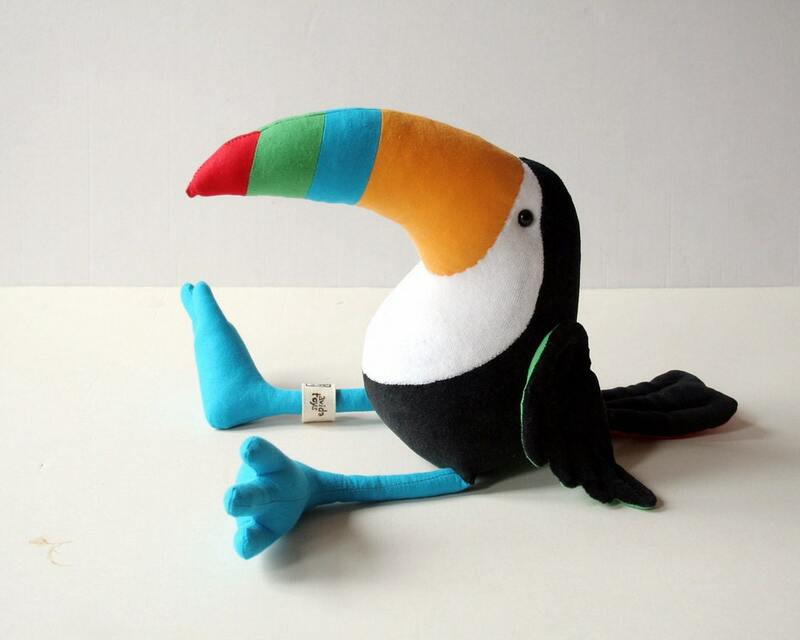 Legs and beak are made of colorful uni canvases. Back of the wings and tail are also colorful. Outer materials are Oeko Tex 100 Standard certified eco friendly textiles. 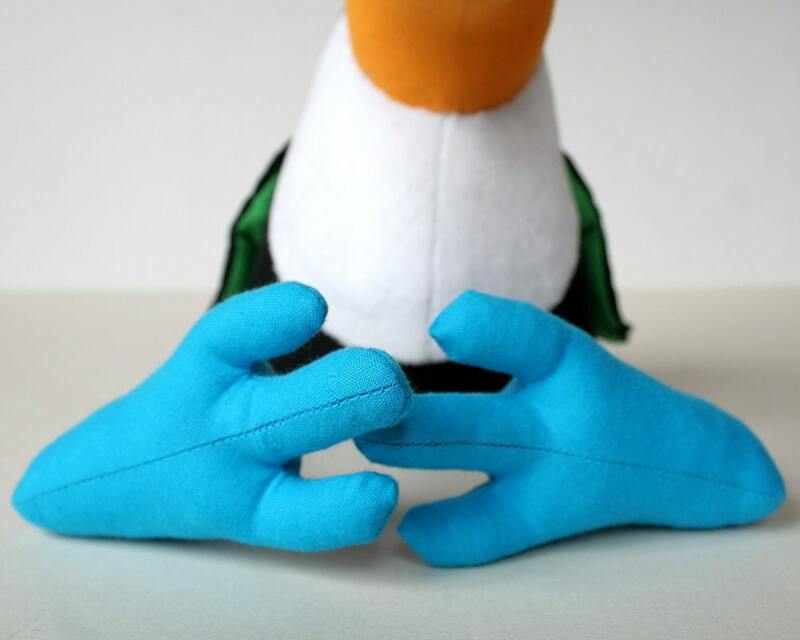 Stuffing is a high quality siliconized polyfill, hygienic and keeps its shape and volume for a long time. 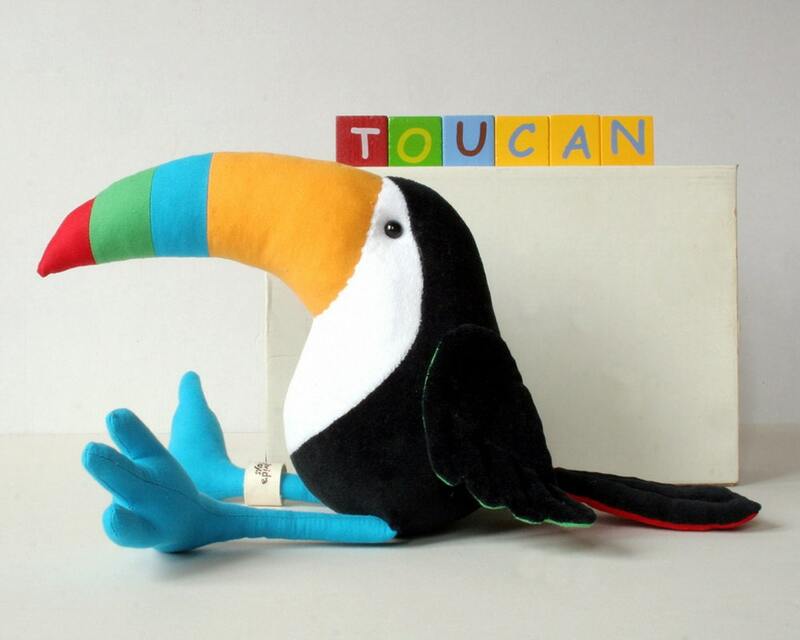 The Toucan is machine washable on low temperature, use mild detergent. Can be tumble dried. 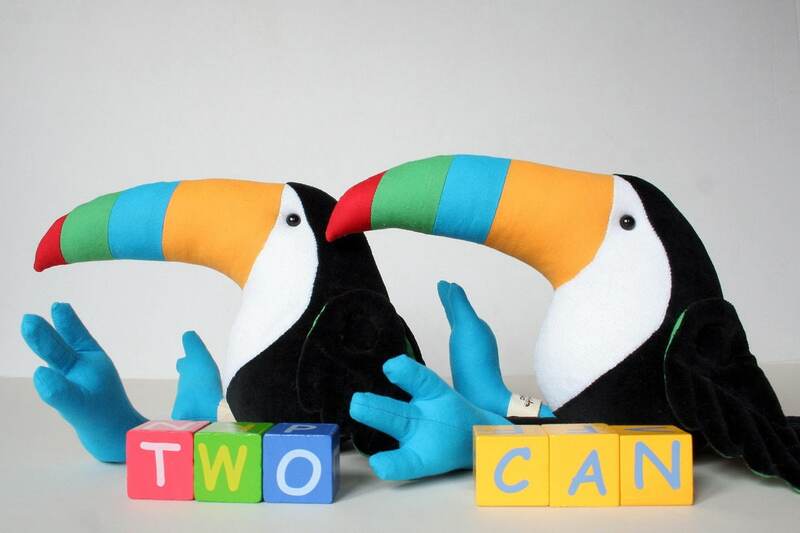 Toucan is a perfect decoration of a jungle themed nursery. 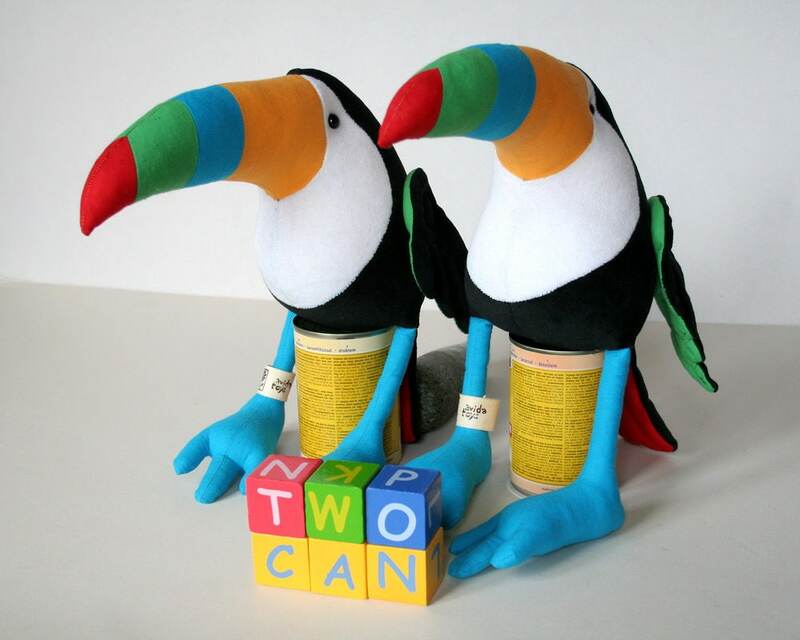 The Toucan is cca. 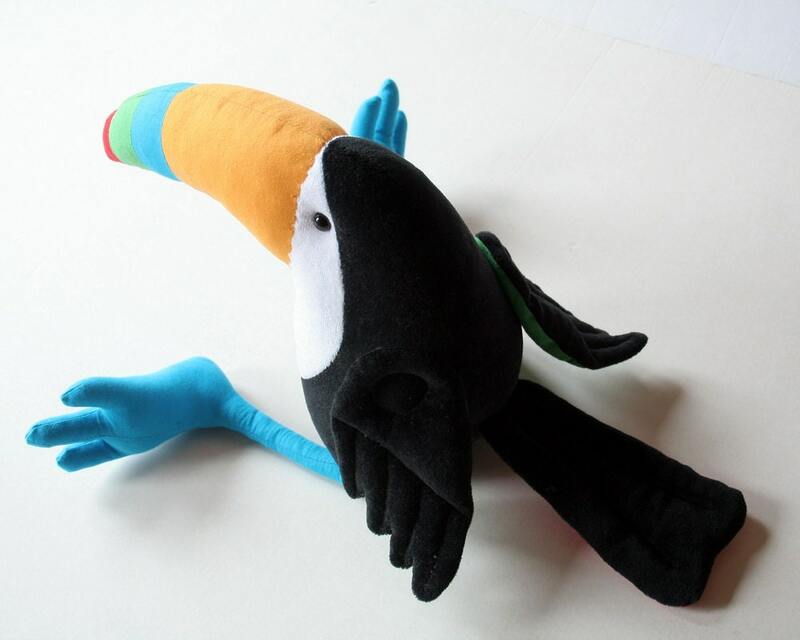 10" (25 cm) seated and he has extremely big legs and beak - as all real Toucans. Awesome! For my African Gray bird, and he loves it! 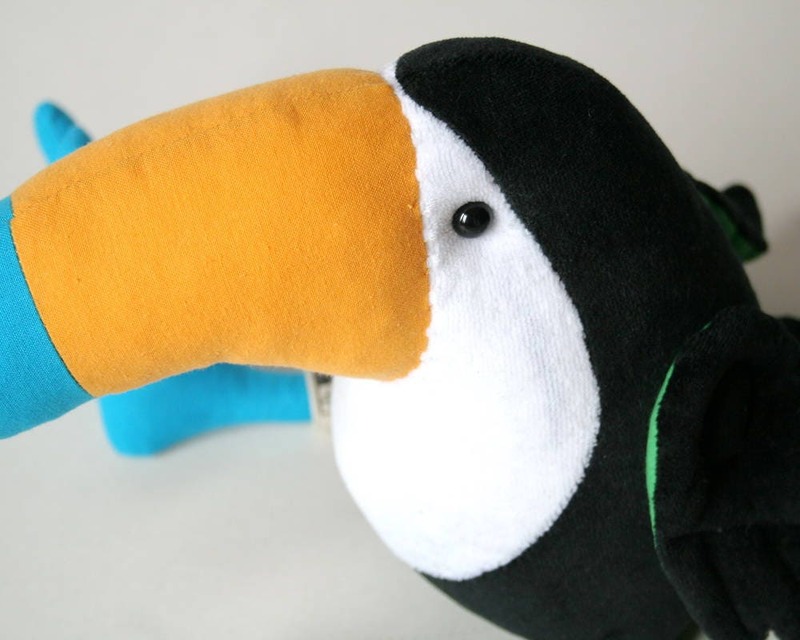 He gives the Toucan kisses! Love him! Andrea and Co. are the best! !